The Coolest Event Of The Year Is Back! The Singapore Toy, Game & Comic Convention (STGCC) is back again this year for another round of the best in popular culture from both the East and West. Uniting the worlds of comics, anime, manga, toys, collectibles, games and movies, STGCC continues showcase the heartbeat of what’s new and cool. Attracting close to 35,000 popular culture fans with 157 exhibitors from 12 countries and 247 media from broadcast to online, STGCC has definitely shown it is no push over in the popular culture events arena and continues to aim higher each year. 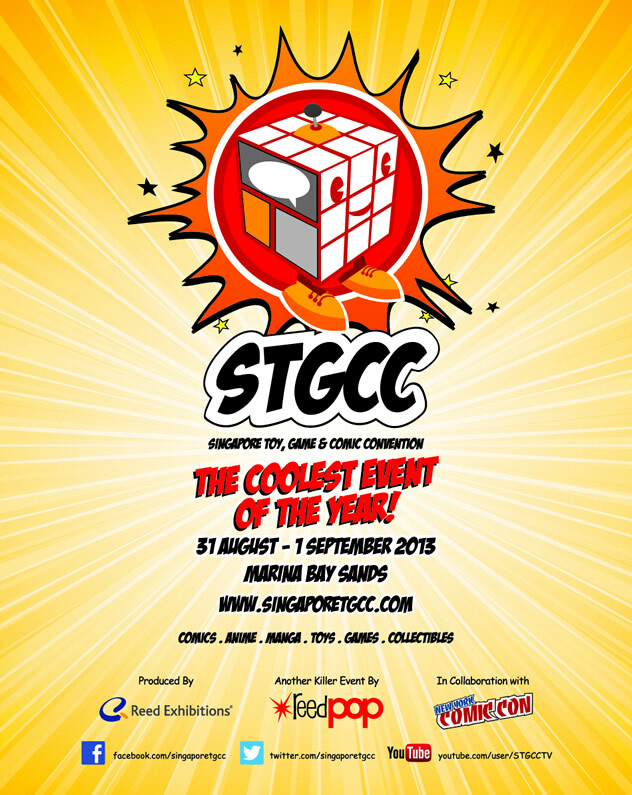 To be held once again at the very posh and classy Marina Bay Sands on the 31st August and 1st of September, you can be sure this year’s Singapore Toy, Game & Comic Convention (STGCC) will continue to build on the success it has achieved over the years. Fans of both eastern and western popular culture fans will definitely have something to look forward to. POPCulture Online is once again pleased to be part of the coolest event this year as one of its media partner. The team will continue to do our best to bring you news, updates and coverage from this year’s STGCC so do check back here and on our Facebook page for the latest updates from the coolest event this year! Do also check out the Singapore Toy, Game & Comic Convention Website and their Facebook Page for more info.